iLumTech DALI PLC-IN belongs to the Connected Lighting product family. This small device is intended to be used inside the luminaire in order to connect the luminaire to the DALI PLC network. DALI PLC-IN has to be used in combination with at least one DALI to PLC Bridge than brings DALI communication to the power line. 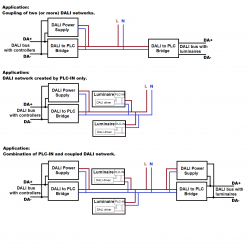 DALI PLC-IN offers possibility to connect the luminaire to the DALI PLC network without using additional DALI wiring between the luminaires. This is intended for usage in applications where two-wire cable for DALI communication is not present and reconstruction is not planned or possible. The device is intended to be used inside the luminaire in order to connect the luminaire to the DALI PLC network. 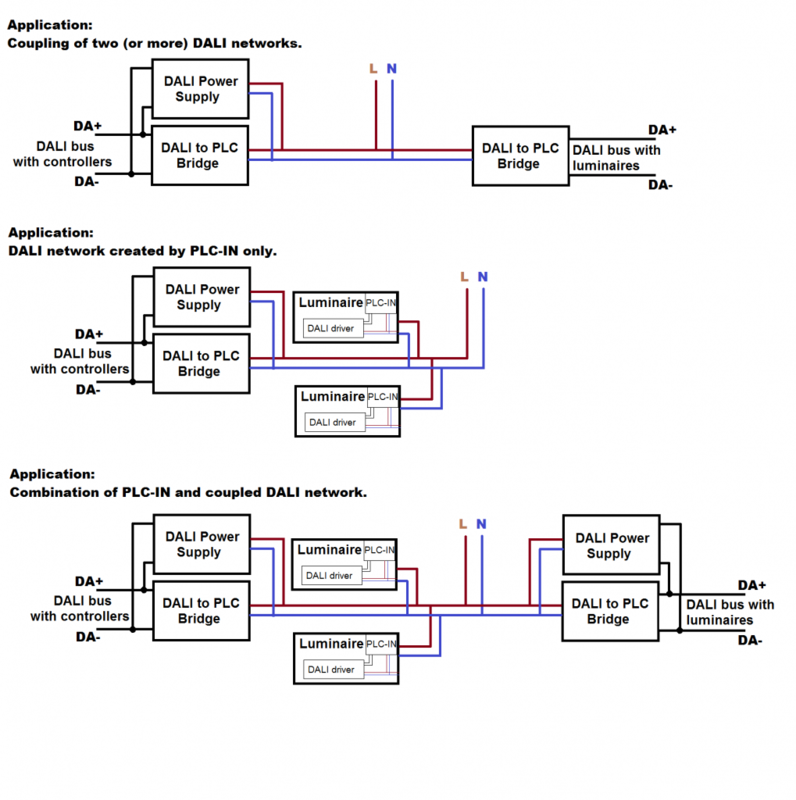 DALI PLC-IN has to be used in combination with at least one DALI PLC Bridge than brings DALI communication to the power line. 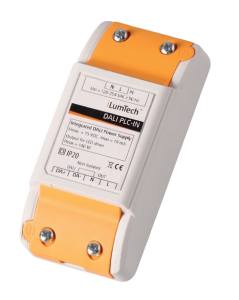 The luminaire with the DALI PLC-IN should be just connected with the mains which contains at one phase the DALI PLC Bridge and can be controlled by standard DALI controllers.